While the train seen in the photograph above carrying armored tanks northbound through North Carolina to who-knows-where stretched for 'miles' according to the individual who sent it to All News Pipeline yesterday, a very mysterious emergency alert message that was broadcast to televisions in states across the country and seen by millions of people, freezing on their television screens, and warning that the alert would 'remain in effect until midnight' is being looked at by RT as possibly being tied to the upcoming Jade Helm 15 exercises and the martial law extraction drills held in Fort Lauderdale, Florida recently. Strangely enough, the 'test' was never identified as 'only a test'. With the Washington Post publishing a story today telling the American sheeple that the Jade Helm 15 exercises are 'no big deal', eyewitness testimony heard in the two newly released video reports from The Alex Jones Channel and theoldmarine1 tell us quite a different story and might help to explain the reasons that the government is now preparing to spring such an alert upon the American people across the country. 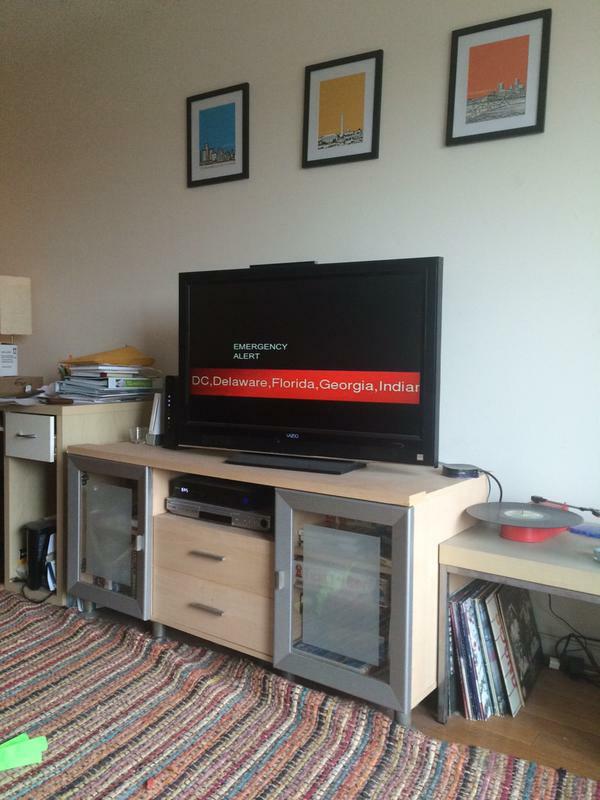 Is it strange that each state was mentioned individually, by name, in this alert? In the 1st video, David Knight takes a call at the 4:40 mark from a listener who tells us about some very strange events going on at a California Naval Base that he believes is the urgent building of a new FEMA internment camp tied to the Jade Helm 15 exercises. In the 2nd video beginning at the 4:30 mark, the Old Marine tells us about a conversation that he recently had with a police officer in which he was told that the small town of 10,000 recently received 'a gift' from the Department of Homeland Security; 14,000 body bags. The Old Marine also tells us that the small town is also receiving an MRAP, a nearly endless supply of weapons and ammunition and even tells us of FEMA trains with bolts to hold down their 'human cattle', just the latest testimony about FEMA death trains (maybe for red-list roundups) here in America. 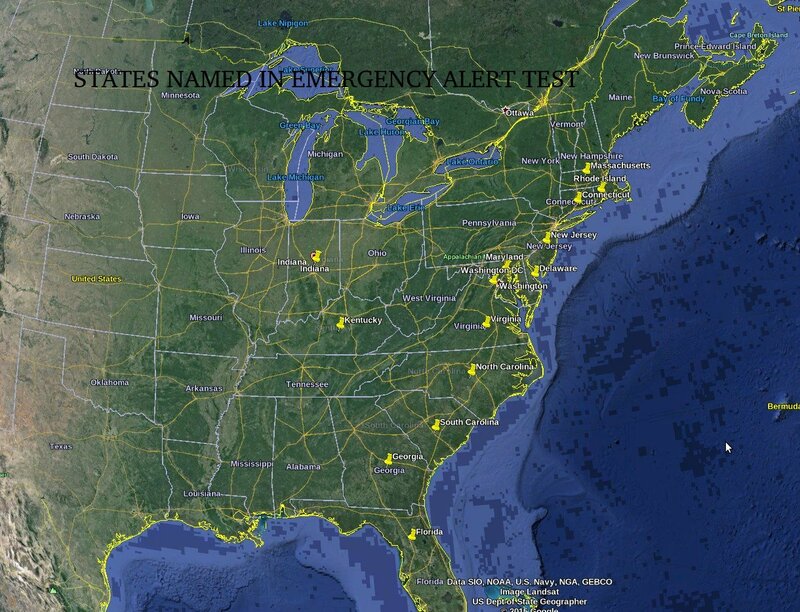 The Google Earth map below outlines the states that were covered in the emergency alert message. Does anything stand out to you? Though we noticed that most of the states covered are on the East coast, the fact that Indiana and Kentucky are also included while New York and Pennsylvania apparently were not included help rule out that this may have been for an east coast tsunami alert, though we certainly cannot rule that possibility out for sure considering the lineup of east coast states effected by this 'practice alert' seen in the map below. 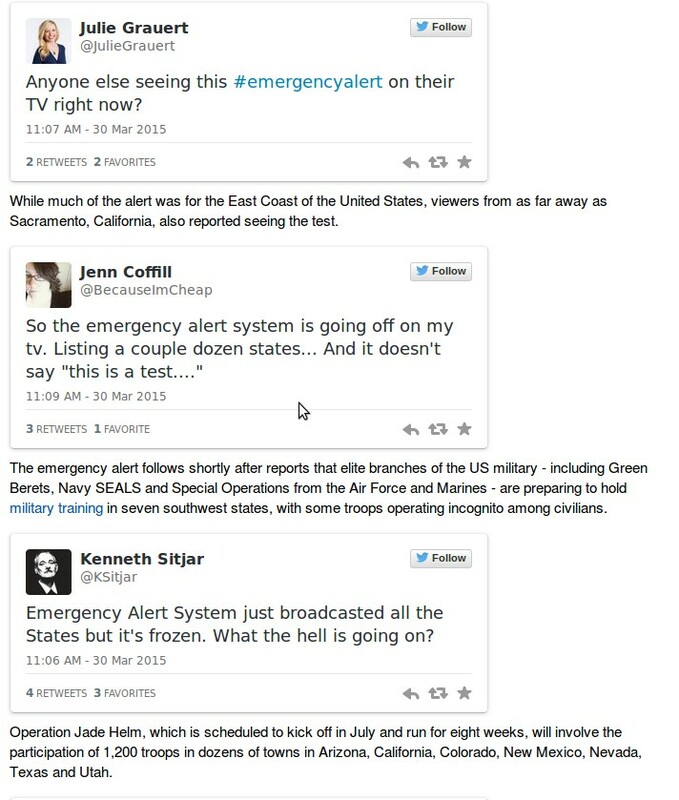 Twitter exploded about the #emergencyalert message as shown in the screenshot from this RT story below. 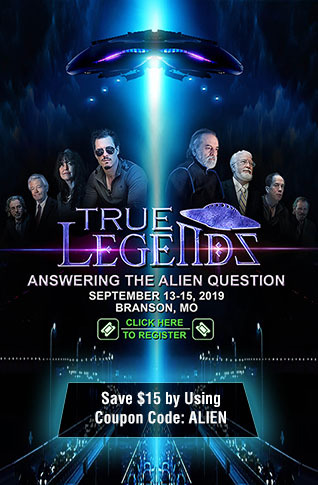 Interestingly enough, they also reported on the Operation Jade Helm 15; was this alert connected to the upcoming military operations?